Each $193 case contains 12 boxes. Each box contains 4 packs. 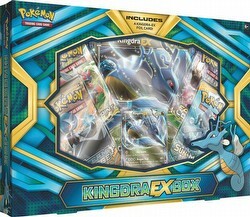 Each pack contains 10 cards. 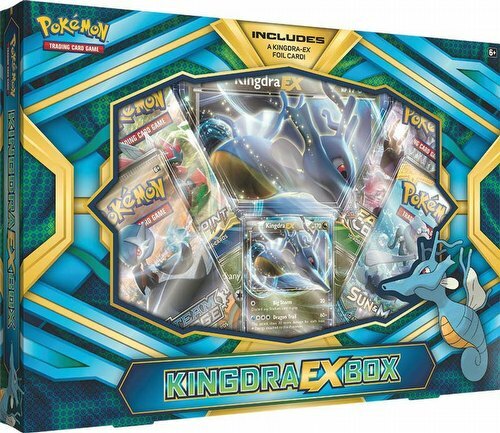 Each Pokemon Kingdra-EX box includes a foil card and an oversize foil card featuring Kingdra-EX, plus 4 Pokemon TCG booster packs, and a code card for the Pokemon Trading Card Game Online. Each case contains 12 boxes.